The proportion of HOV users on Interstate 66 inside the Capital Beltway at rush hour has not significantly changed since expanded restricted hours and tolls for solo drivers began last December. WASHINGTON — The proportion of HOV users on Interstate 66 inside the Capital Beltway at rush hour has not significantly changed since expanded restricted hours and tolls for solo drivers began last December. “We are seeing HOV usage stay pretty steady around 44, 43 percent,” Virginia Deputy Transportation Secretary Nick Donohue told the Commonwealth Transportation Board last week. The percentage of vehicles on the tolled stretch of I-66 riding free with at least two people and an E-ZPass Flex in HOV mode rises from 25 to 30 percent between 5:30 a.m. and 6:30 a.m. and to as high as 70 percent at the height of rush hour between 8:30 a.m. and 9 a.m., Donohue said. Increasing the number of people carpooling, vanpooling or taking transit was a key goal of expanding HOV hours and adding tolls for solo drivers on I-66 inside the Beltway nearly six months ago. When tolls have risen to more than $40 for a full trip, speeds have been just below 40 mph on average in parts of the corridor. “We are starting to see slowdowns between 8:30 and 9 a.m.,” Donohue said. On Tuesday morning, tolls reached $46.75 for a full trip with delays through Falls Church and east of Spout Run after a motorcade in the area. “Meetings start at 9 a.m., and so you have a lot of folks who really want to make it in at that last minute and they’re not coming in until they need to be there for their meeting,” Donohue said. Tolls westbound in the afternoon are lower than in the morning, largely because traffic flows more smoothly past the Dulles Connector Road and partly because traffic tends to be somewhat more spread out. VDOT is widening the eastbound (inbound) lanes of I-66 between the Dulles Connector and Ballston, but that is not scheduled to be completed until late 2020. The Virginia Department of Transportation expects about half of the estimated $12 million in toll revenue collected from December through the end of next month to pay for operations and maintenance of the tolling system, with the remaining $5.6 million funding transit projects or other efforts to squeeze more people through the congested corridor. “This is about providing information on how to carpool, vanpool, slugging, as well as access to transit along those corridors,” said Kate Mattice, executive director of the Northern Virginia Transportation Commission. Since the toll revenue is paid out as reimbursements later for the bus routes and other options rather than as an upfront grant, this funding cycle includes $12 million in projects that will be paid for in part through tolls paid in coming months. A major challenge to getting commuters along I-66 to take advantage of alternatives is that each alternative represented a significant change for the corridor. The state also estimated that as many as half of drivers were cheating by using the I-66 HOV lanes when they were not entitled to. With the rules changed, more people are getting bills for using the road while driving there, even if few people are being pulled over. “This program along with the outside the Beltway project is going to be putting in place those park and ride lots and — before outside the Beltway [toll lanes] opens — to really maximize the benefit to commuters in that corridor, we’re going to need to really work with employers, homeowners associations and other places to really build a slugging culture hopefully along there,” Donohue said. Toll rates could be lowered outside of the very busiest times, Virginia Transportation Secretary Shannon Valentine said again last week. “As 66 is working, as dynamic tolling is working along the corridor … reliability is much better, time travel is much better, our commitment has been to look all the time at how we can make it better,” Valentine said. 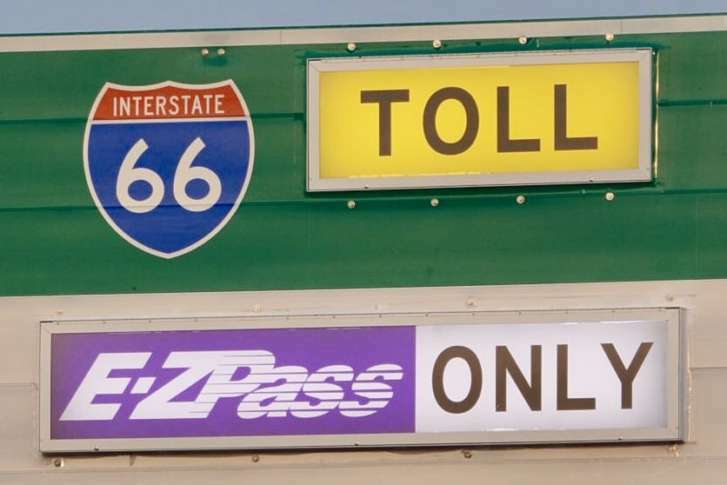 With June 4 marking six months since tolls began, the state is beginning to slowly tweak the tolling algorithm that sets prices based on the amount of traffic in the lanes, time of day, day of the week and other factors. The average toll is around $8.19 for eastbound trips in the morning and $4.46 for westbound trips in the afternoon. That average includes trips over the entire four-hour toll period each way of all lengths. “What we’ve heard is what can we do to help not only move people but lower cost along the 66 corridor, and they’re having to pay sometimes high tolls, surprisingly so, and so one of the things that we would want to see move forward as quickly as possible is increasing transit, increasing vanpooling, park and rides, anything that we can do to help move people at lower cost,” Valentine said.